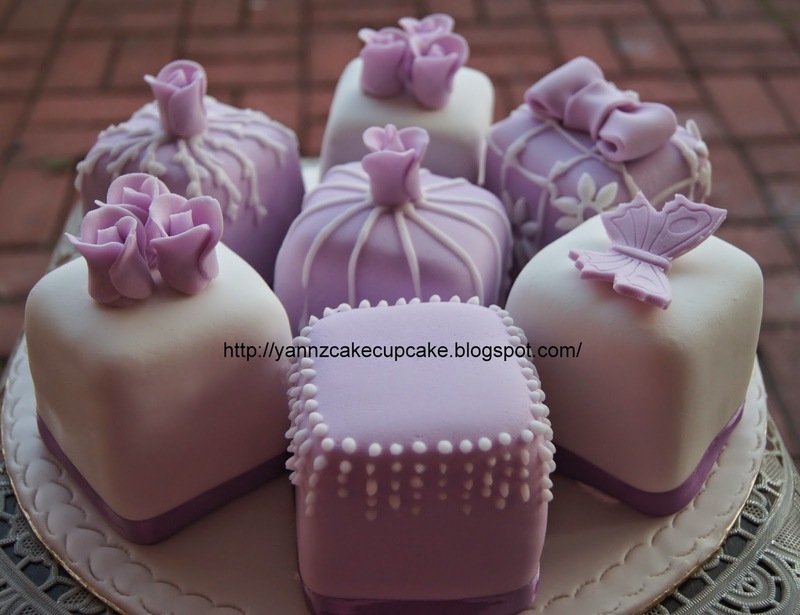 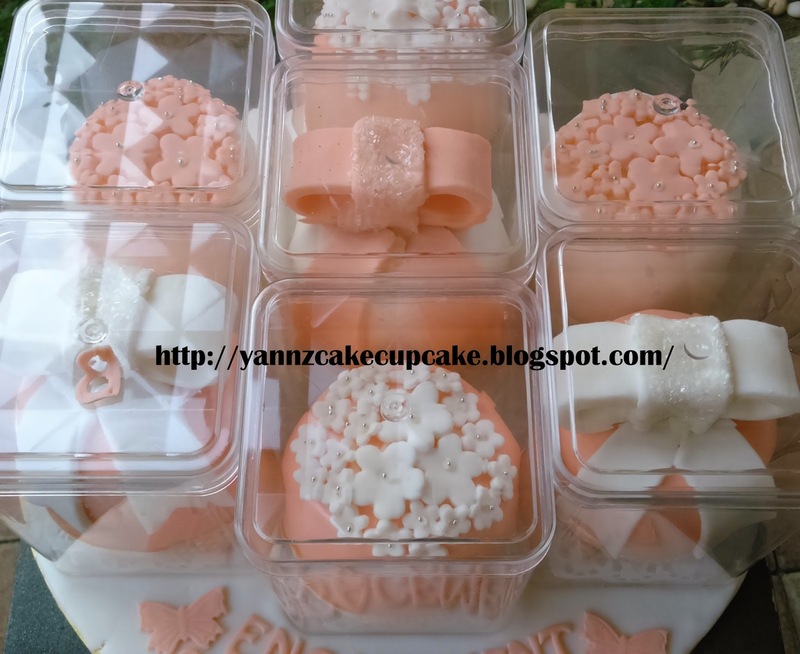 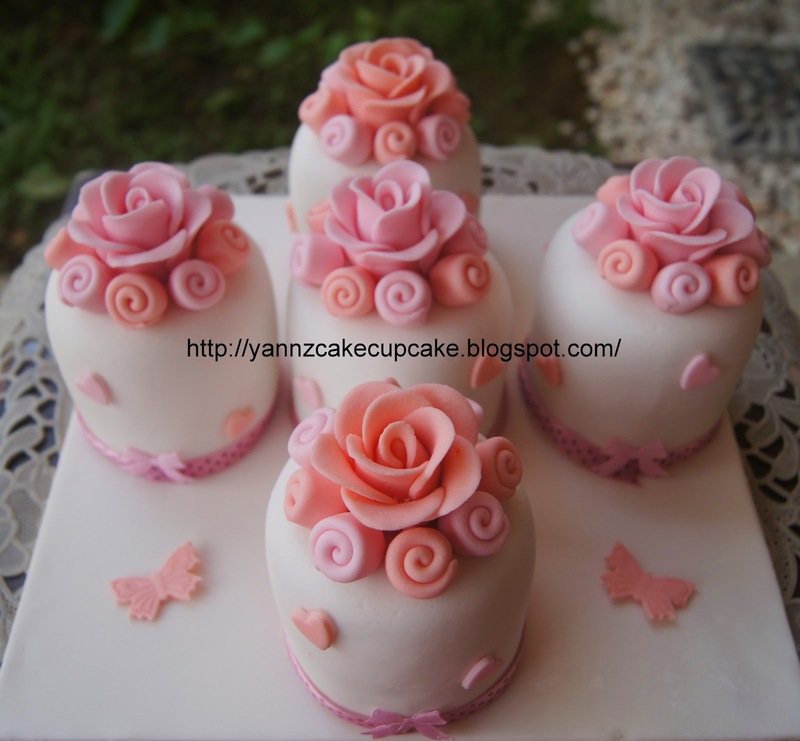 Making 7 minicakes with blossom & ribbons. 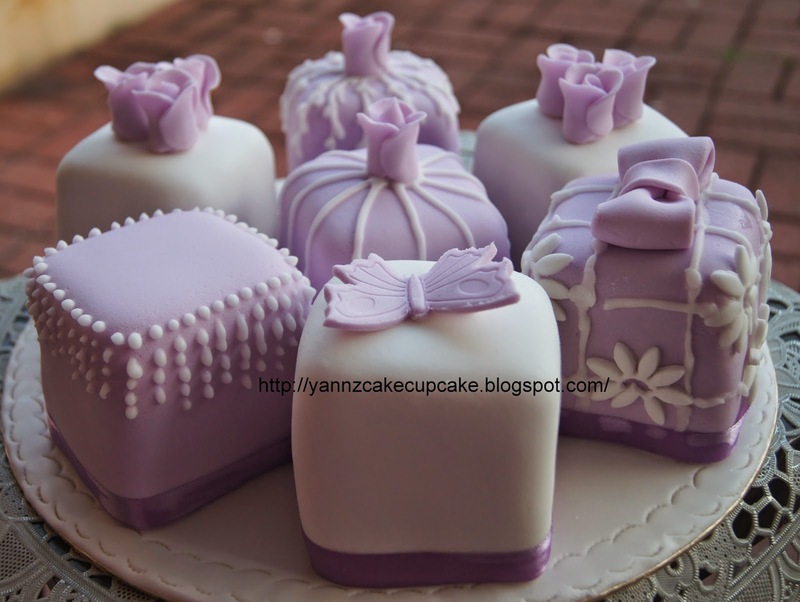 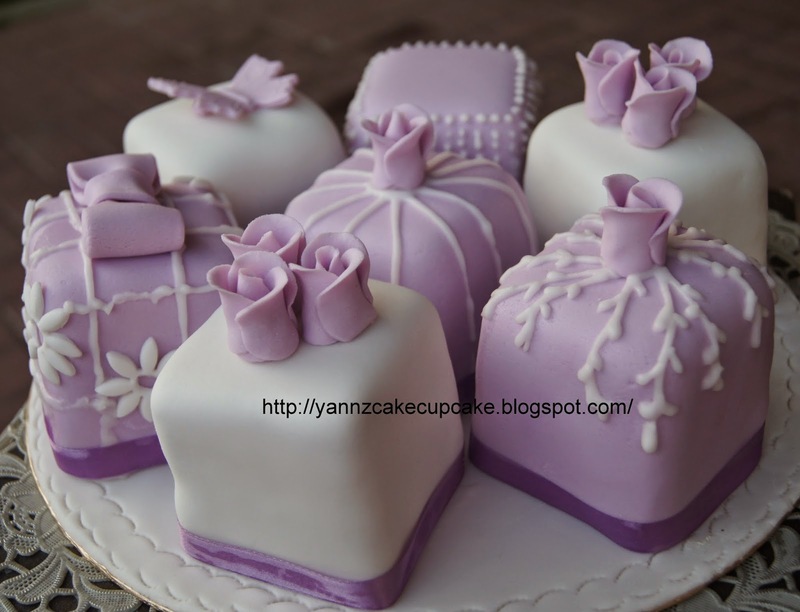 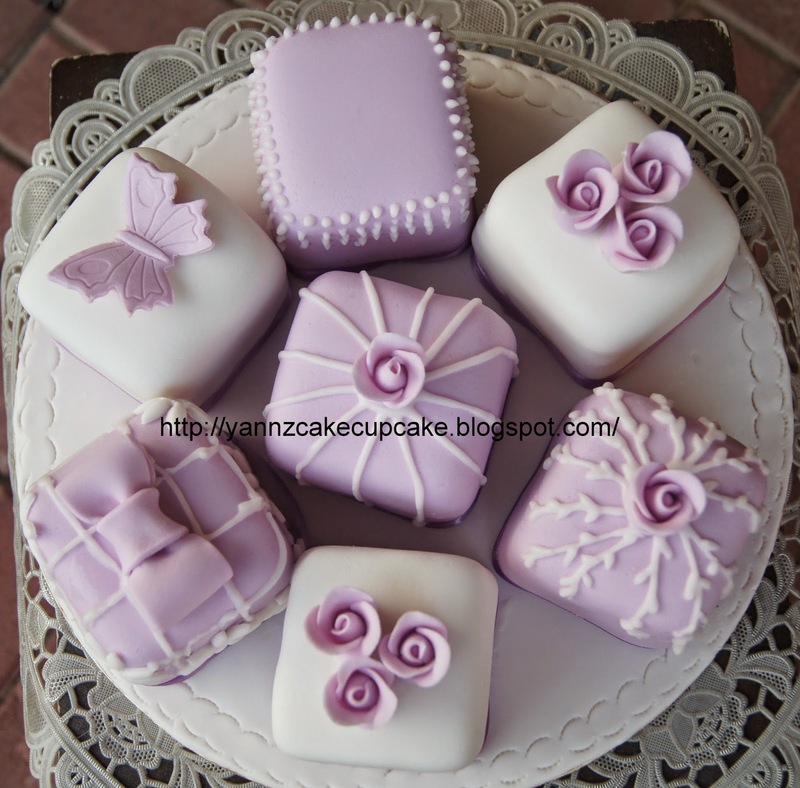 Same design made before in purple color. 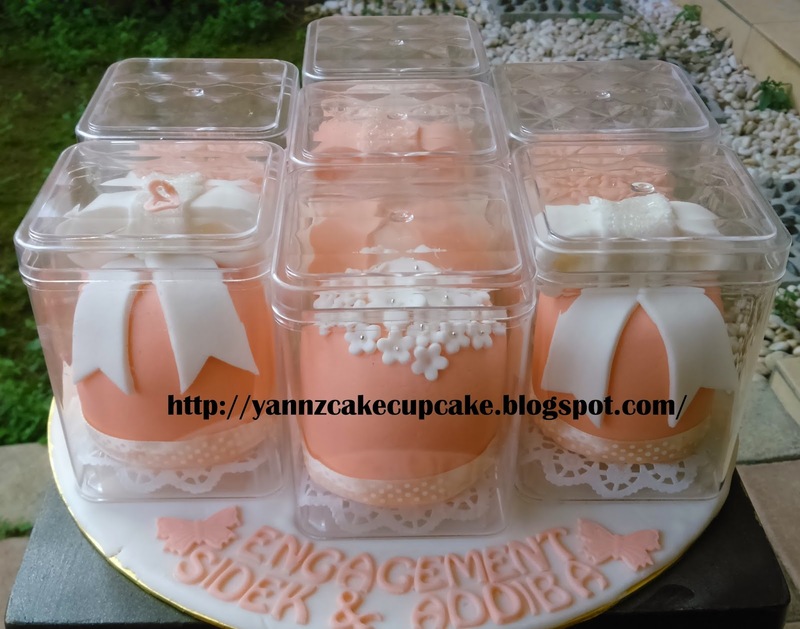 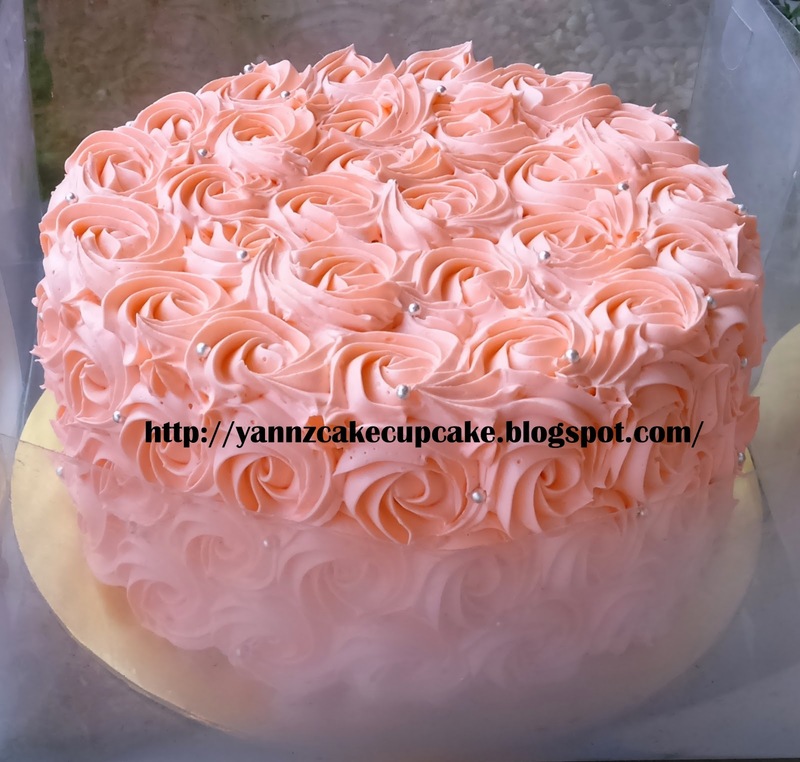 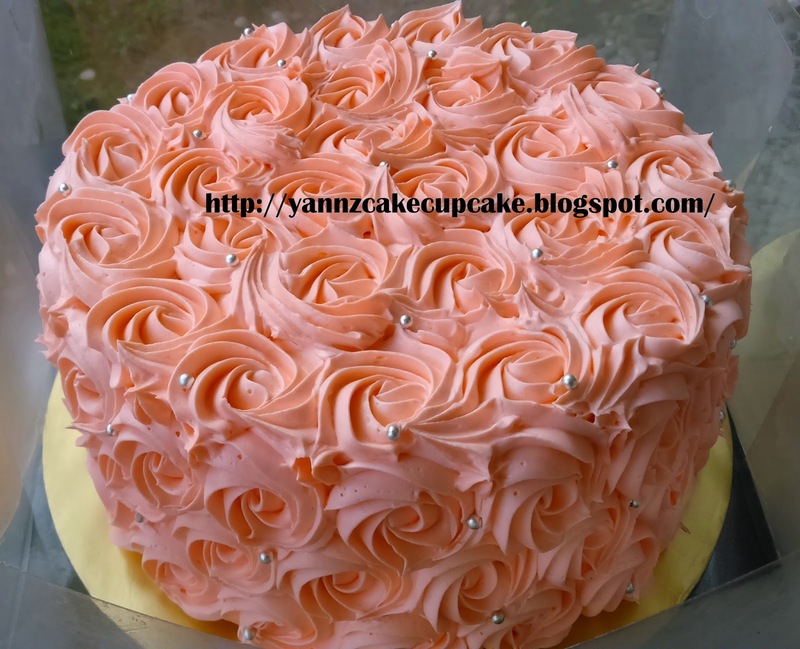 Adibba also request peach rosette buttercake. 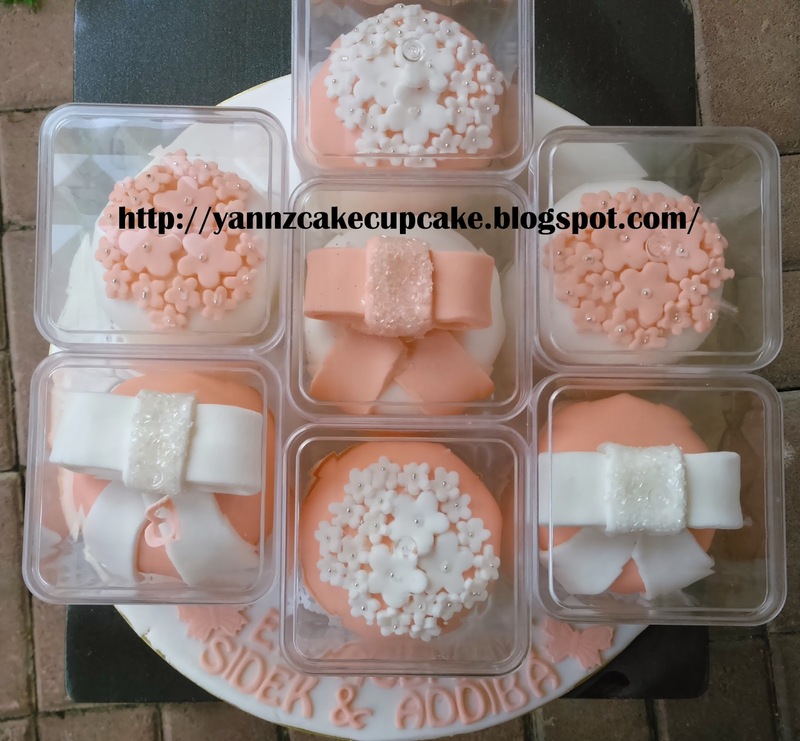 with silver ball as soft touch. 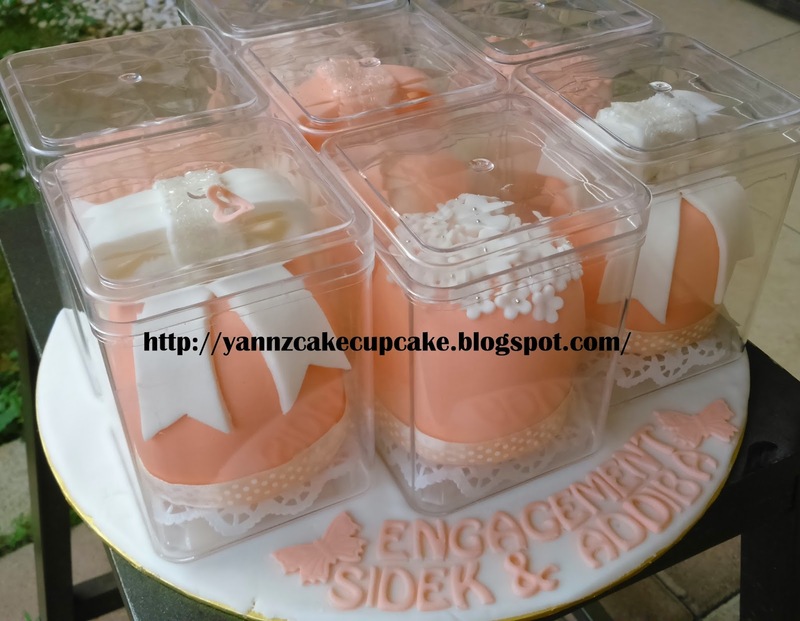 Selamat Bertunang Addiba & Sidek..may happiness always with you. 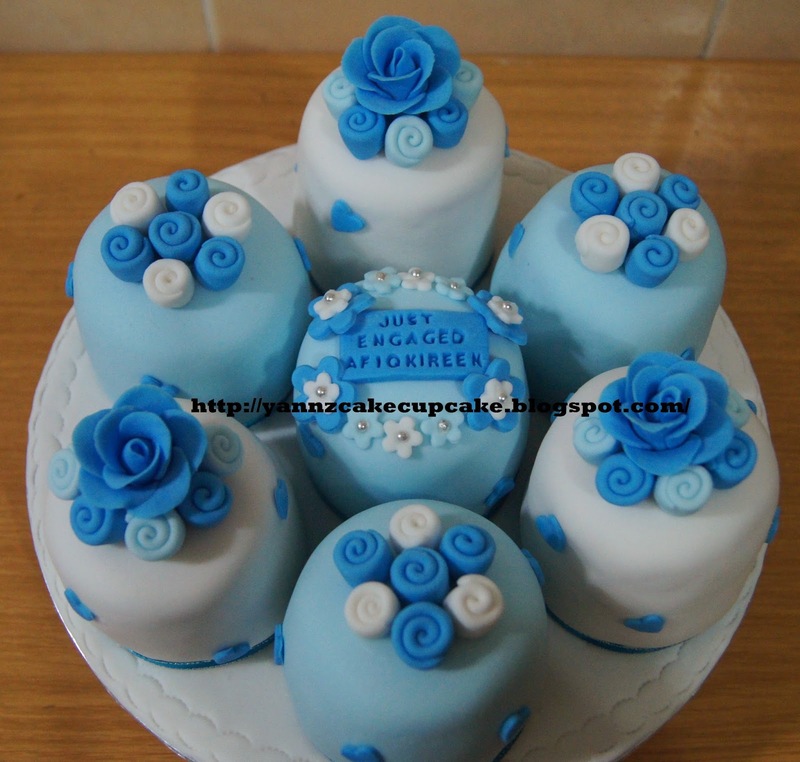 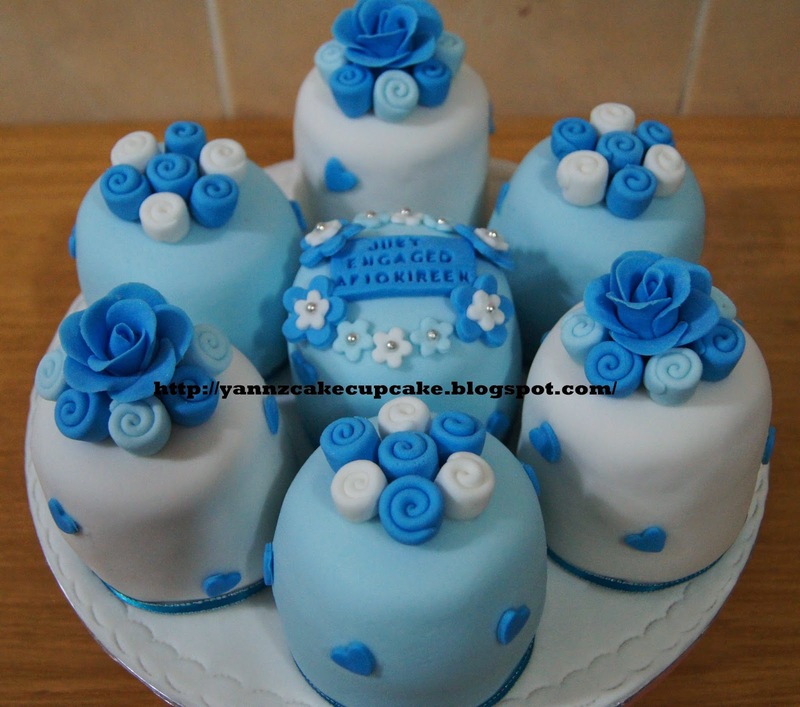 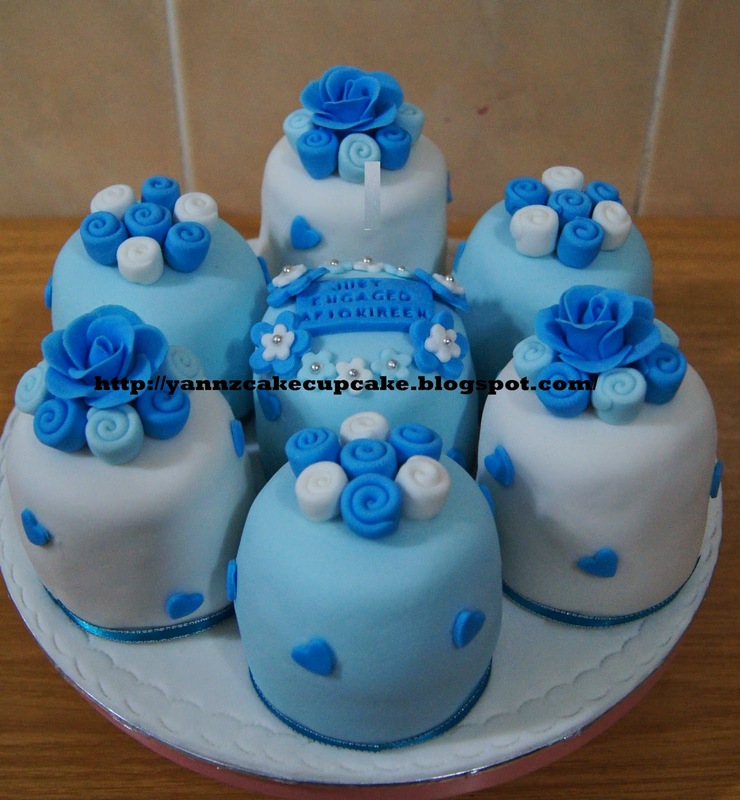 Minicakes Red Velvet in Baby Blue. 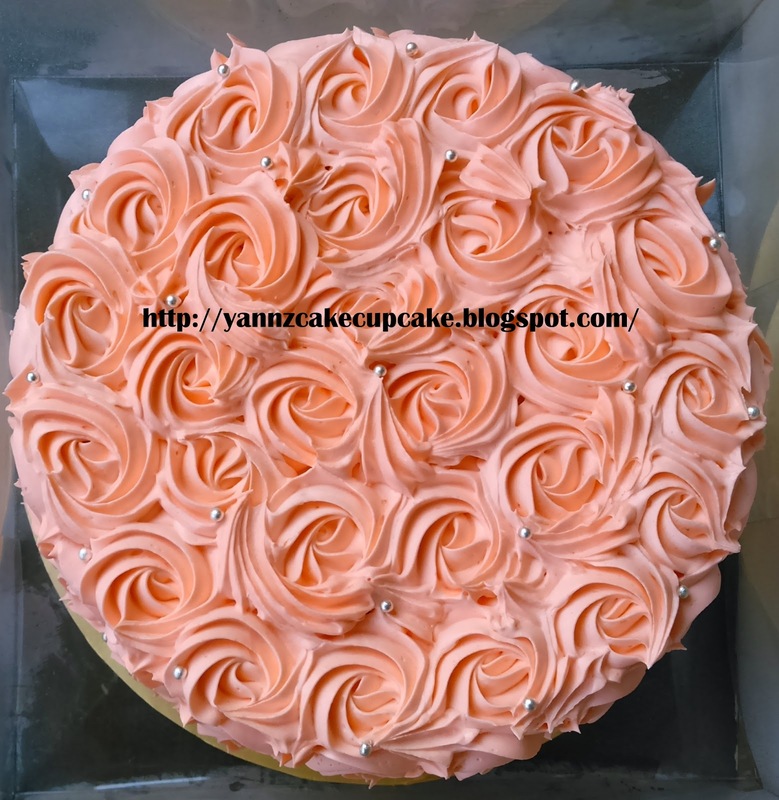 Ordered by Mr Eejal. 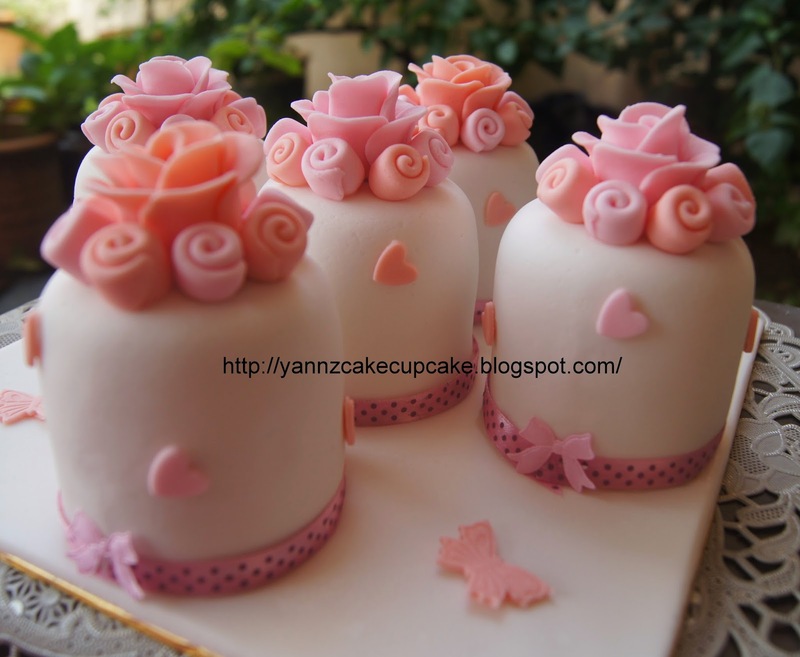 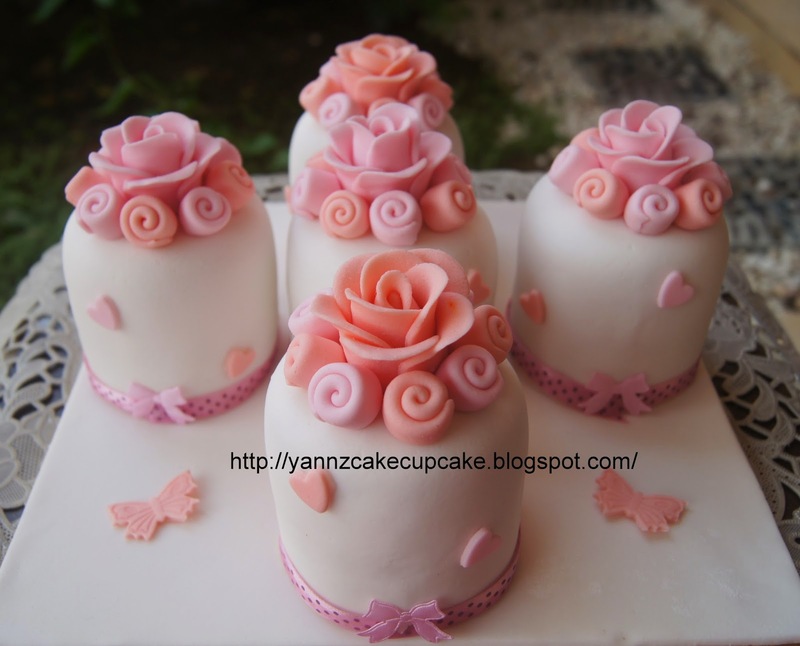 Minicakes chocolates roses and spiral roses. 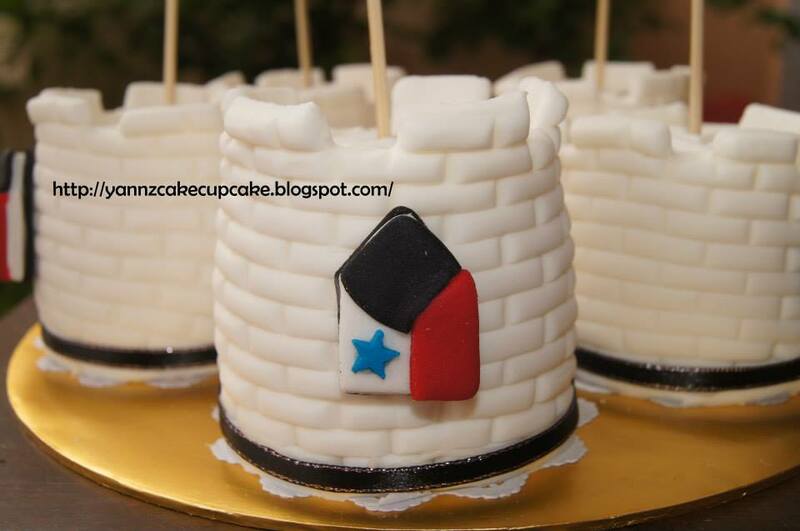 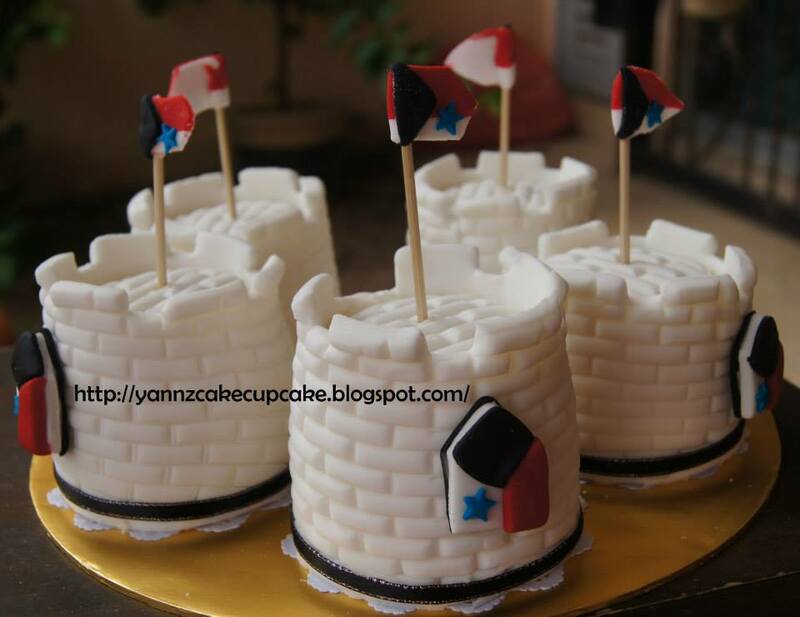 English Castles Mini cakes for Haikal 1st Birthday. 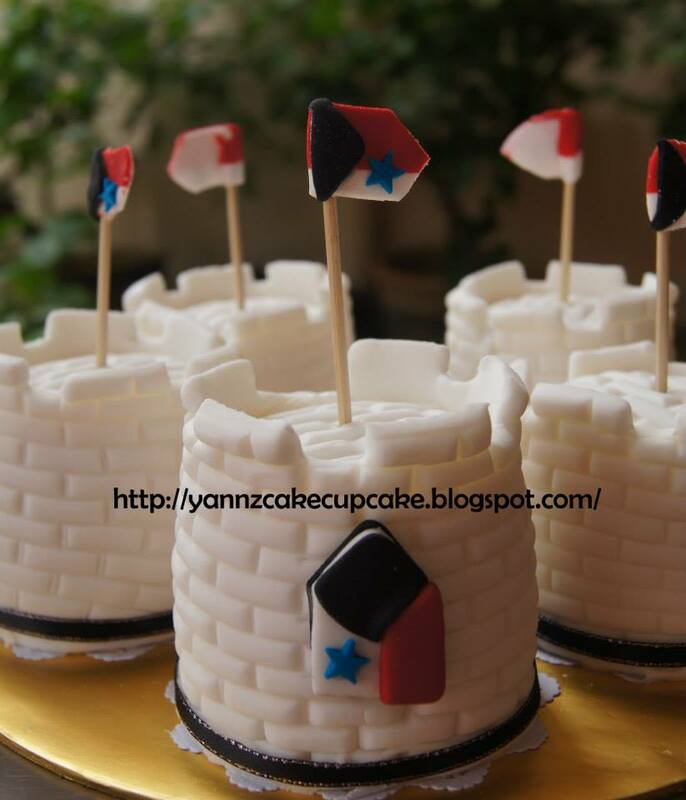 Making 9 pcs mini castles in white complete with flag and Templar symbols.